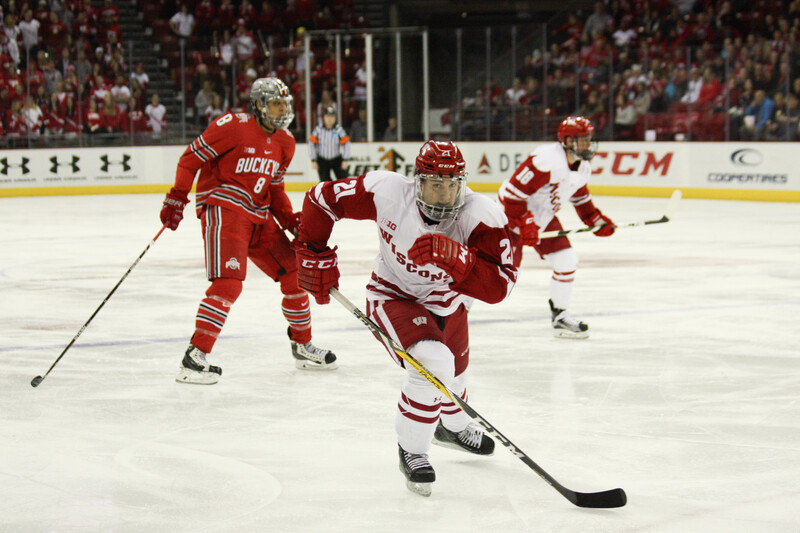 The University of Wisconsin men’s hockey team successfully secured a first-round bye in the Big Ten Tournament and will face the quarterfinals winner of the Ohio State and Michigan State game Friday. 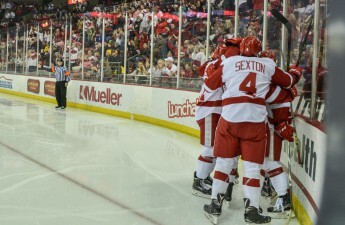 After the Badgers’ two losses to the three-seed Buckeyes on their home rink last weekend, the Badgers skidded into the two seed position for the Big Ten Tournament hosted at the Joe Lewis Arena in Detroit. It is imperative the Badgers win the Big Ten playoff title in order to continue in the championship season to the NCAA Tournament. 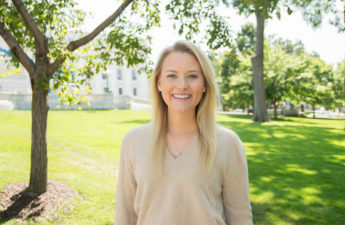 Although Wisconsin has suffered two recent detrimental losses to the Buckeyes at the Kohl Center, there is hope for the Badgers at this weekend’s away tournament, as they are consistently more successful at away games. The two winners of the semifinals will play in Saturday’s championship game in contention of the Big Ten trophy. Five-seed Michigan and six-seed Michigan State are in the similarly unsettled position in depending on the Big Ten title to advance to the national tournament. Placement in an at-large position in the NCAA Tournament is evidently secure for Minnesota, while it is ambiguous of whether No. 14 Ohio State and No. 13 Penn State will receive at-large bids to play or will advance as a result of winning the Big Ten playoffs. Stacking up a total of 19 wins of the regular season and earning a first-round bye in the Big Ten Tournament, the Badgers take one of the most impressive stances they’ve held since winning the conference championship in 2014. Friday’s semifinals will be held at the Joe Lewis Arena in Detroit at 3:30 p.m. CT and Saturday’s Championship game will start at 7:00 p.m. CT. Both games will be aired on the Big Ten Network and 1310 WIBA.